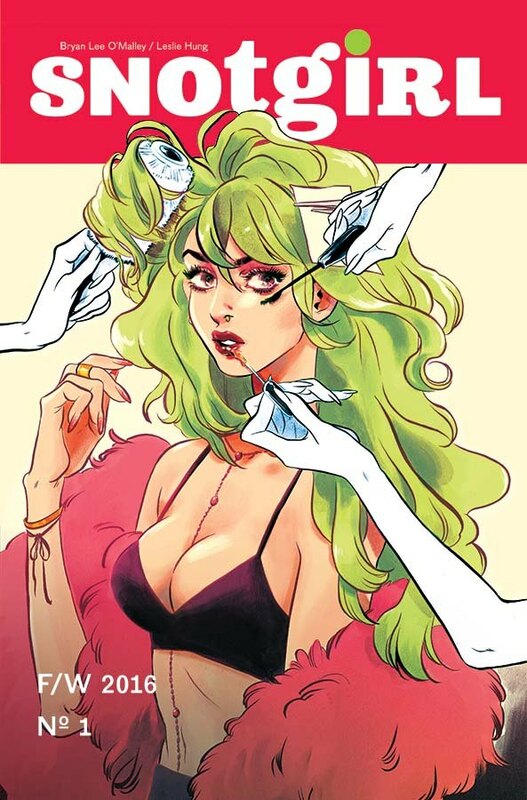 Image Comics is pleased to announce the highly-anticipated new ongoing series SNOTGIRL by New York Times bestselling writer Bryan Lee O’Malley (Scott Pilgrim) and featuring dazzling artwork by newcomer Leslie Hung. First announced at Image Expo and teased in the inaugural issue of Image+ Magazine, SNOTGIRL will launch this July. In SNOTGIRL #1, readers will meet Lottie Person. Lottie’s a gorgeous, fun-loving social media star with a seemingly perfect life—but deep-down is she really just a gross, allergy-ridden mess? Enter a world of snot, blood, and tears in this new ongoing series. "Lottie Person is an extreme example of someone whose online persona is a calculated performance. She's gorgeous, she has great hair and clothes, she has the perfect apartment in downtown Los Angeles," said O'Malley of the main character in a recent interview in Image+ Magazine. "By all appearances she's flawless, but she's an introverted weirdo on the inside." Hung incorporated current brands and fashion elements into the story and said of her art strategy: "It was important to pay attention to brands, but also to the people who wear those brands in day-to-day life... All the characters kind of have their own thing going on, but as events unfold, I hope people are able to see when things start to shift, and I'm definitely letting the situations dictate the details." 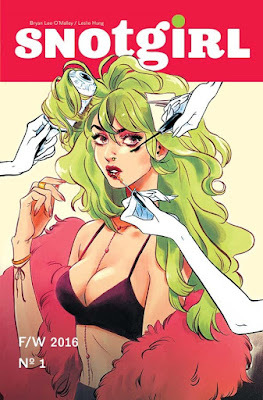 SNOTGIRL #1 Cover A by Hung (Diamond Code MAY160544) and Cover B by O’Malley (Diamond Code MAY160545) will hit comic book stores on Wednesday, July 20th, 2016. The final order cutoff deadline for comic book retailers is Monday, June 27th, 2016.